Surprise! It’s a special Pop Shop Winter Market right before the Holidays. This is perfect event to shop for last minute gifts, stocking stuffers, crowd pleasers, handmade jewelry, housewares, stuff for guys, art, and lots more. The handmade businesses exhibiting at the Pop Shop Winter Market create the most interesting, quality hand crafted artisan goods that you can get. Shop local this year! Conveniently located downtown in the mall near Snap Kitchen and Treebeards, you can finish up your holiday shopping on your lunch break. Or just come by, say hi, and learn about the awesome handmade goods from local businesses. This is a free event! Too late for pop-up tomorrow at Houston Center? You are not too late! 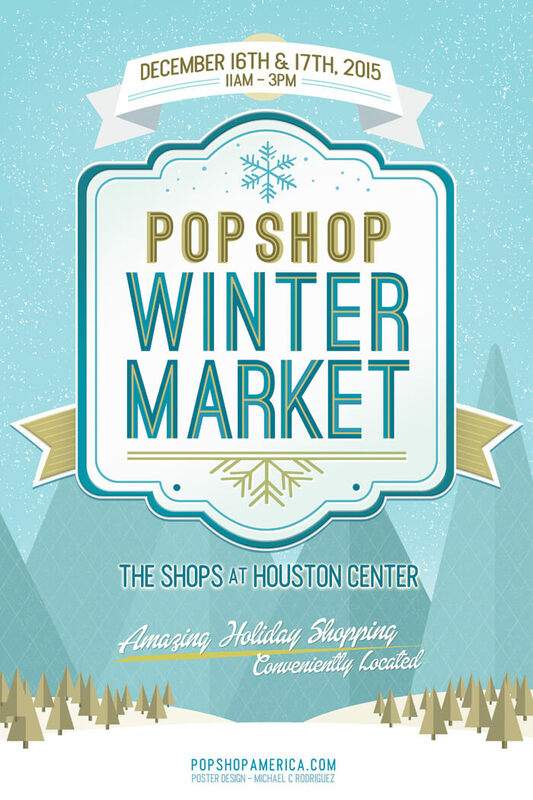 We’ll be back at The Shops at Houston Center tomorrow Thursday Dec. 17th 11 am to 3pm. Thank you so much for asking! Hope to see you there.